Photo: Glacier near an estuary. Glaciers still feed some fjord estuaries. Called tidewater glaciers, these "rivers of ice" add tons of icy freshwater to the ocean ecosystem. 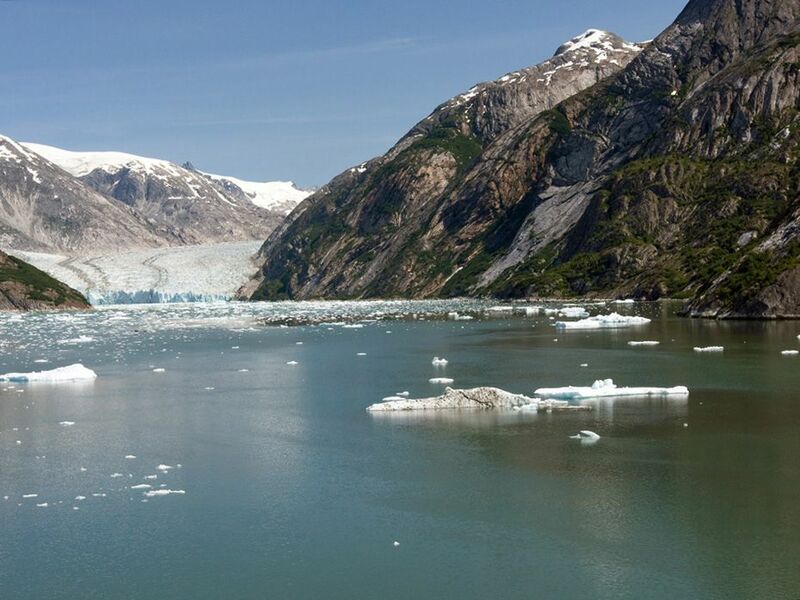 Sawyer Glacier, above, empties into the Tracy Arm Fjord near Juneau, Alaska. An estuary is an area where a freshwater river or stream meets the ocean. When freshwater and seawater combine, the water becomes brackish, or slightly salty.